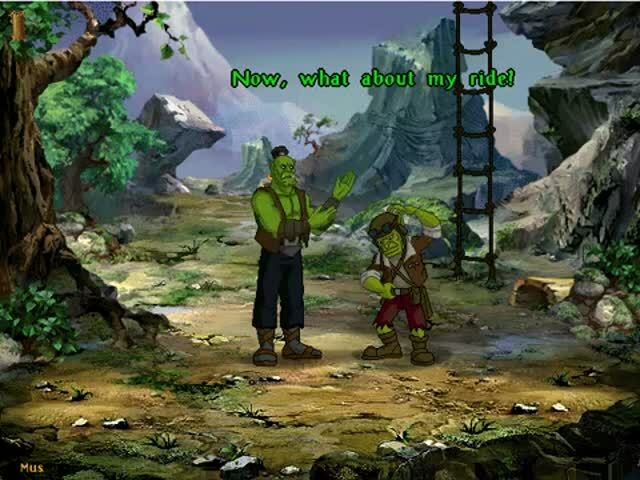 Originally slated for a 1997 release, Warcraft Adventures: Lord of the Clans wasn't another expansion for Blizzard's phenomenally successful RTS. Instead, it was something Blizzard had never done: a point-and-click adventure game. Much of the heavy lifting, including the animated sequences, world backgrounds, engine coding, and sound effects were outsourced to Amination Magic, the company that had previously developed Link: The Faces of Evil and Zelda: The Wand of Gamelon. After delaying the game into 1998 and bringing in The Hitchhiker's Guide to the Galaxy developer Steve Meretzky as a consultant, the company decided that the game was outdated, and cancelled it on May 22, 1998. The story of the game ended up as the Warcraft novel, Warcraft: Lord of the Clans.